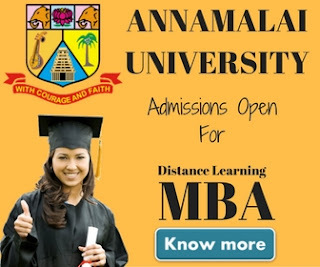 Annamalai University Distance Education B.Ed: For students who are interested to make their career in the field of teaching, Annamalai University Directorate of Distance Education offer 2 years Bachelor of Education(B.Ed) course under distance education system. A Bachelor of Education (B.Ed) is a undergraduate professional degree which enable students to work as a teacher in schools. In India B.Ed is a mandatory degree for students wants to pursue their career in higher primary schools and high schools as a teacher. Every year thousands of students from all corners of India look for admission in B.Ed course. If you are one looking for admission into distance education B.Ed course and live in southern part of India, Annamalai University could be the right option for you. Annamalai University Directorate of Distance Education currently inviting applications for admission into its 2-year distance education B.Ed courses. 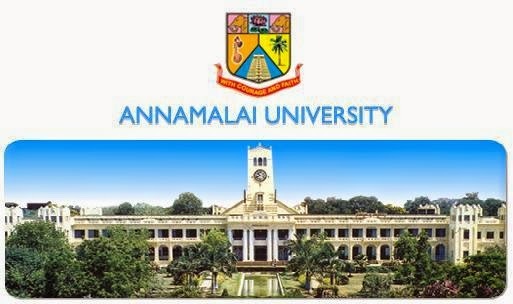 The entrance test is tentative to be conducted in the month of September for admission into Annamalai University Distance Education B.Ed 2019-2020 session. The time for the entrance test would be 11.00 a.m. to 1.00 p.m. Following are the entrance test centers for B.Ed entrance test. As per NCTE norms, regular teachers working in primary, middle, secondary or higher secondary schools in Tamilnadu, recognized by State / Central government, with a minimum of two years teaching experience are only eligible for admission into Annamalai University Distance Education B.Ed course. The students must have a graduate degree from a recognized university under 10+2+3 or 11+1+3 pattern with the main subject in Part III, namely – Tamil (B.A., B.Lit. ), English, Mathematics, Physics, Chemistry, Botany, Zoology, Computer Science, Applied Physics, Applied Chemistry, Biochemistry, Environmental Science, Microbiology, History, and Geography are required to be eligible for admission. Students with post graduation qualification in Economics, Commerce and Home Science are also eligible for the programme. Students who have studied cross major subjects in postgraduate level are not allowed for admission. Students who have secured a direct UG & PG degree are also not eligible for admission. Note: Admissions will be made on the basis of entrance exam results. Students who will pass the entrance exam will be considered for admission. 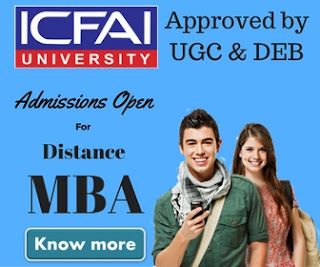 People who satisfy the above-mentioned eligibility criteria can apply for Annamalai University Distance Education B.Ed 2014. Students may download the application form from the University's website by clicking on this link. Further for detailed admission procedure, candidates are advised to contact university officials or study center or visit Annamalai University DDE website. The total fee of the Annamalai University Distance Education B.Ed course is 1,10,000. Students to pay the total fee in four installments i.e 2 installments per year. In both years the first installment will be required to be paid as a tuition fee of INR 32200. The second installment would be for Lab Fee of INR 20000. The complete fee structure is mentioned below. Designated Banks at Study Centres / Information Centres.